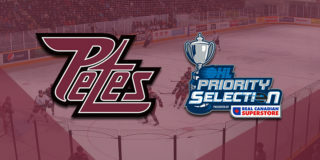 Peterborough Petes General Manager Michael Oke announced Wednesday that the team has acquired centre Max Grondin from the Saginaw Spirit in exchange for two OHL Priority Selection picks. Grondin, a 2000-born centre, is in his third OHL season. He was originally selected by the Spirit in the second round, 37th overall in the 2016 OHL Priority Selection. The 6’4”, 200lbs Hearst, Ontario native has recorded 18 goals, 22 assists, 40 points, and 130 penalty minutes in 147 games with Saginaw. 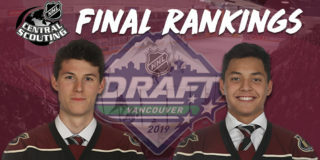 Grondin attended the Carolina Hurricanes’ 2018 development camp as a free agent invite and took part in the 2018 Traverse City Prospect Tournament. “Max is an experienced player who is good on faceoffs and has a big body. We’re confident that he’ll be able to contribute this season and in the future,” commented Oke. In the deal, Saginaw acquires Peterborough’s third round pick in 2020 and second round pick in 2024. Grondin will wear number 28, and is expected to be in the lineup when the Petes host the Oshawa Generals on Thursday, November 1 at 7:05pm. Tickets for Thursday’s game are available through the PMC Collins Barrow Box Office in person and over the phone Monday to Friday from 9:30am to 5:00pm, and 24 hours a day online. Enter promo code WelcomeMax in the Lansdowne Place My Rewards section of the Petes app to earn loyalty reward points. 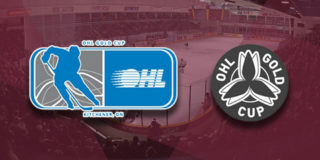 Want to hear about more Petes contests and promotions? 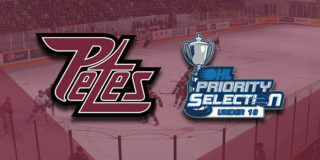 Join thousands of fans and stay up to date with the Petes by downloading the Peterborough Petes Mobile App, available for iPhone or Android devices.